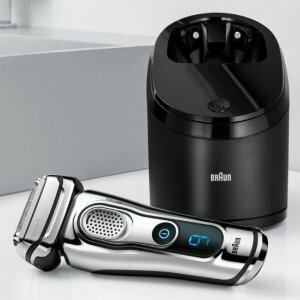 Best Buy offers the $60 off Braun Shavers. Features: Get an exceptionally close, thorough facial hair trim with this wet/dry Braun shaver. It has two types of trimmer that target difficult hairs, a protective skin guard and a pivoting head that moves in 10 directions to ensure no hair gets left uncut. Use this Braun shaver with shaving cream for an even smoother finish.